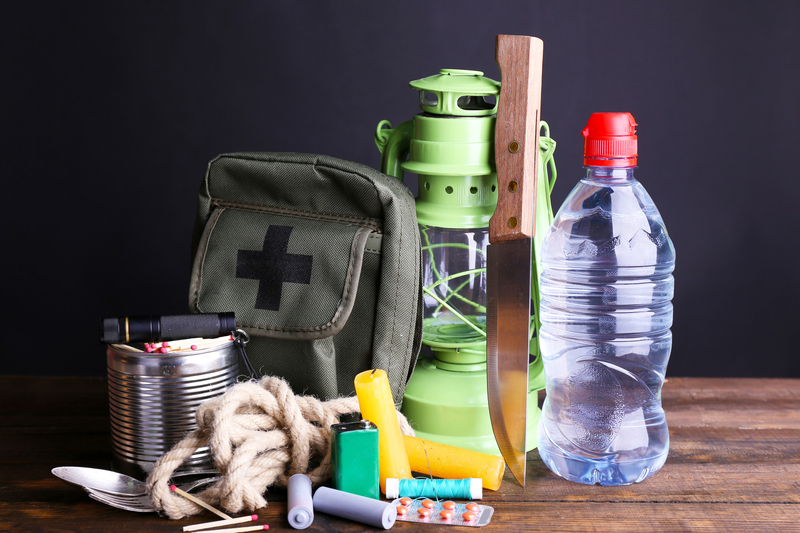 A thorough natural disaster preparation plan can protect your home and family against the ravages of several catastrophic events. While planning takes some foresight, time, and effort, it may help prevent injuries and minimize the need for a homeowners insurance claim. If you are concerned about preparing your family for a natural disaster, the information below can help. For flood preparation, identify if you are in a floodplain and ask your local authorities about the best routes for evacuation. Stockpile plenty of bottled water and ready-to-eat canned and bagged items. Leave immediately when the weather services advise you to. It takes only a foot of water to wash away a small car, and only a few inches more for larger vehicles. Unless the cyclone touches down near your house, most of the injuries caused by tornadoes involve windblown broken glass and debris. To avoid this, choose a safe room without windows on the lowest level of your home and hide until the storm passes. Keep a radio tuned to emergency broadcasts so you know when the danger has passed. The high winds from hurricanes make it unsafe to be outdoors during the storm, so remain in your house unless you have time to evacuate completely. Avoid low-lying areas that are prone to flooding, and map out your evacuation route in advance. Pack a suitcase for each family member filled with clothing, snacks, first-aid kits, extra water, flashlights, batteries, and blankets. Protect your house with window shutters. You can file a homeowners insurance claim if a hurricane caused substantial damage to your home. For assistance crafting an auto or homeowners insurance policy that will protect you against a natural disaster, contact CIG Insurance Agency in Canandaigua, NY, with a second location in Honeoye, NY. They have provided safe and efficient insurance for residents across Ontario County for over 20 years. In addition to homeowners insurance, they also specialize in business, auto, boat, motorcycle, and life insurance. To request a quote, call (585) 394-5544 and visit their website for a comprehensive list of products.